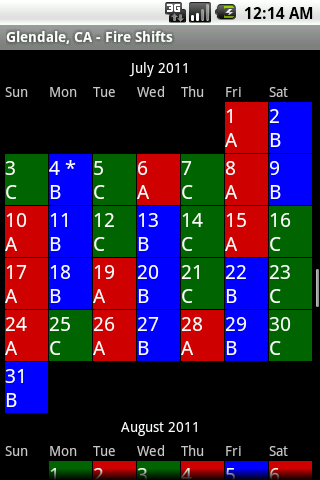 Fire Shifts is a simple app that shows your current schedule as color coordinated Android app. It is intended to be as simple as possible. View this Tutorial to learn how you can customize your Calendar using our Fire Shifts-Free or Fire Shifts-Pro Applications. Version 1.3.x and up have new options! Pro version syncs with your calendar. When it starts up, it looks at your calendar for the year. 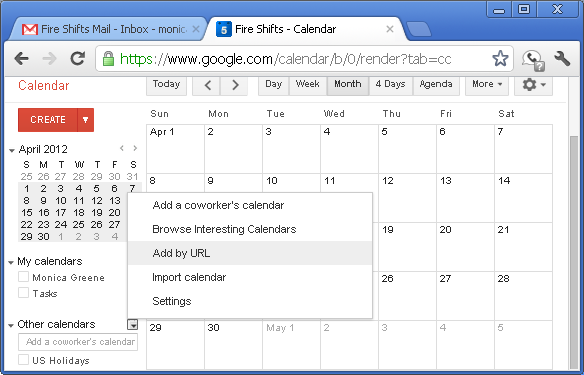 View this Tutorial to learn how you can sync your Google Calendar to your Fire Shifts-Pro Calendar. So, for example, I add in my Android calendar on July 4th: Holiday – Independence Day! This works for anything on your calendar. Just put those keywords in your titles and Fire Shifts will place a marker on your Fire Shift calendar. Fire Shifts updates when you change your rotation of your screen. If you don’t see your calendar updating, flip it to the side, then back upright. 2. Go to your Google Calendar Page. 5. Right click and copy this URL. 6. On your Android device, check that the “Fire Shifts US Holiday” calendar is synced and visible. 8. You should see the corresponding holidays from the Google Calendar marked on your Fire Shifts-Pro app by the “*” symbol. I have a droid x and have attempted numerous times to have my pay day show up on the shift app to no evail. I was wondering if im doing something wrong by chance? I’ve followed your instructions on the link and put the symbol and/or word for payday in but it still doesn’t show up on the calendar in the app. Any suggestions on how to fix this? Checking into this. Do any of the other keywords work for you? Vacation? Trade Off? Yeah, Fire Shifts only syncs Google Calendar to Fire Shifts. Easiest way to add your shift to your Google calendar is to figure out how many days in your rotation, then set it up as a reoccurring event. Set the Repeat to ON, and Daily. Change the Daily to the number of days in your rotation. Then your calendar will be correct forever. Same issue with Samsung infuse. No function between events entered into calendar. None of the symbols working in fire shift after update calendar. I’m having the same issue with Fire Shift Pro on my GS4. how do I change the chift labels to rearrange A, B, and C shifts? Great app. I live in New Zealand, where I ama Paramadic. I a on aAABBCCDD shift cycle and was able to have things setup in 5 mins. only problem was one of our shift colours is brown, so used grey. Thanks for the app. Hey Craig I am brown watch and I have brown in my calendar. Have you got the Pro version? Just updated the app to allow “On Call” in your google calendar to show up as “oC” on your Fire Shifts app. I purchased pro and it is not syncing to my google calendar. I checked the events online and they are there. I am sure I am using the pro and not the free version. I have a Samsung Infuse SGH-I997 with Froyo 2.2.1. I have restarted the phone, closed the app in task-manager, flipped the phone on its side, etc. I added an event and added “eV” at the end of the event title like the tutorial says and it’s not working. I’ll ask for a refund and purchase later if it works or is fixed. Just to confirm, we cannot add events from our fireshifts calendar correct? That would be great is so. I’m not sure why it has trouble with the Infuse, but I am checking into it. Unfortunately at this time you can not add events from the app itself, only the Google calendar. I am looking for a schedule that works for 12hrs. We work Mon and Tuesday then of wed Thursday then work Friday sat and sun. Then off Mon and Tuesday and work wed and Thursday and then off the Friday sat and sun. We have 4 shifts day and night. I have added events to my Calender but they appear the following day on the app??? Would it be possible to add an icon foe military days. That way i can sync it to fire shifts. It would help out tramendasly lol. It will not sync to my google calendar.I’ve tried all the code letters and then updated.no luck. Is it available for a Blacberrry? Sorry, but unfortunately we don’t have an app for Blackberry. Any estimation of when the calander will sync with ICS. Have you watched the tutorial for Fire Shifts-Pro? Can you please add a sync feature to include debit days. Debit days are days are extra days I have to work in addition to my normal shifts. We added this to Fire Shifts-Pro. If you type “Debit day” as your event title on your Google calendar, “dd” shows up on your Fire Shifts-Pro calendar. Awesome! Thanks for being so quick! ETA on when it will synchronize with google calander when running ics? Awesome App. I love the Pro to sync!! Keep up good work. I loved using this app with my Droid X, however that phoned died. Is this app available for the iPhone? iOS Version of Fire Shifts available now! I have to say that this app hasn’t worked well for me. I have an android razr, when I try to sync it doesn’t do well for me. For example, I can’t make my Kelley day repeat every third week (Monday is my day) because there is no option for that on my calendar. I wish I would have realized this BEFORE I purchased “pro”. I would rather have an app that you worked with direct rather than having to sync through another calendar. Oh well, it was a $2 learning experience. Sorry it didn’t work out for you. If you email me at kevin at fireshifts.com I might be able to help you use one of the customized calendars to put in the day off automatically. Otherwise, to make every 3rd Monday off as an reoccurring event, you’ll need to go into your gmail calendar on a full computer. Set the Repeat to weekly, then choose 3. It should make an event on your google calendar repeating like you need it. Just name it Kelly and Fire Shifts Pro will bring load it every 3rd Monday. Hope that helps. If it doesn’t contact us and we’ll refund you. Bummer…. only reason I paid for this version was to be able to switch my days right on the app. Like, if I took vacation or made a trade. I don’t want to use Google calendars, I just wanted to be able to customize my 48/96 shift within the app. Guess I should have done more research. Have ICS 4.0.4 and calendar doesn’t update all events, any ideas? I have the fire shifts- pro version. My wife has the same phone and version and is producing the same problems. I’m sorry you can’t get it to sync.We haven’t had any other My Touch owners with issues as of yet and will look into it. Upgraded to Droid 4 and now my google calendar is not syncing with pro version, suggestions? I would really like to be able to scroll farther into the future. Two years would be adequate, but three would be great. We updated Fire Shifts and Fire Shifts-Pro today to include a scroll view for two years. My dept is starting this in July but our schedule is as follows for three shifts. Starting monday is ABCABBBCABCAAABCABCCCfor a three week period. The three shifts in a row are the weekend( fri, sat, and sun). Do you have something for this. I have a Motorola Defy/ android phone with Google calender and Fireshifts Pro. When I enter my vacation in calender then sync to Fireshifts, the V only shows up on the first day only. Great, I set my Goggle cal to sync with Outlook and I can add to fire cal from Outlook using correct phrase. Can you get trade on (to) shifts and overtime (ot) shifts to match the onduty color instead of showing up an the same color as an off duty day? That is completely odd… Does this still happen for you? Can this great app work for iOS or could u guys make it for it 2? I wait ur answer. Thx and have a good day. when I copy and paste the URL to my “other calendars” on my google calendar I get an “import failed, invalid URL” message. Hi folks is there a way or can the developer add a way where you can have this have an indicator for such things like a payment being due for such as rent/Mortgage/car/utilities?? The app is only geared towards work related items. In the Pro version you can see items such as overtime-OT, Vacation-V, etc. i work a rota of 2 on, 3 off, 2 on (week 1) 2 off, 3 0n, 2 0ff (week 2) then back to week 1 again. is there a way i can customise the app to this rota? I synchronized my shift and it won’t stay. When I want to use it, it’s all out of order. What’s the deal? Are you selecting “update calendar” in the calendar view menu after selecting your preferences? I work a 48 hours on with 72 hours off and Tuesdays as a Kday all ways being of but in April it will change work group to being off on thursdays is there a way to sef the calendar. To stay current till april then show my new schedule starting on the new one in April? You’ll have to change your “Schedule Type” once the new schedule begins. I was just wondering if you were in the works to add this app to windows phone’s. I used to have an Android and loved this app, actually this app was one app that about made me change my mind on not getting the windows phone.lol. I would really really really really love for you guys if you did add this or at least consider it. Is there any app close to this in the windows store? Can you add SK for sick days or sk days? We do not have “Kellys or personal days” at the LAFD. I just downloaded the app for iPhone and the color options for days isn’t coming up to change. Any suggestions? My fire shifts will not show up on my Google Calendar after attempts to sync. In other words I cannot get the schedule from your app to my Google Calendar. I have a galaxy s5. My calendar no longer updates when I put in overtimes, etc. Is there an update or a fix? Recently my fire shifts free freezes when opening and will either say not responding or will start working after a minute. I have uninstalled and reinstalled with no change. It has served me well up until this. Any suggestions? Hi Kevin I just got a motorola Droid Turbo 2 and just like my droid max it will not sync with my google calender. I have tried everything in the tutorial to no avail. I am pretty sure I still have the pro version. 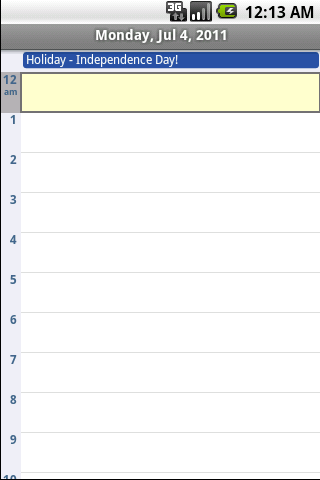 Until recently, all of my events showed up on the fire calendar without issue. Now, vacation days, appointments , and events show up fine. Trades and overtimes do not. I have double checked my codes and I’m entering the right letters. Advice? When I make changes on the preferences the changes don’t appear on the calendar when I go back to it…? A bunch of my coworkers and I are having the same problem. I’m having the same issue with the app not working on my iPhone since I upgraded to iOS 11. I’m experiencing the same issue with it not working with the new update for the iPhone. The app is no longer working on my iPhone 7. It’s just a black screen and then closes. I’ve restarted my phone and tried reinstalling the app twice now. Hi, I live in Brazil and I downloaded Fireshifts on my iPhone. The point is that here in Brazil we use three colors on our schedule: Green, Yellow and Blue. The problem is that I am unable to set the colors and change them according to my region. How can I solve this problem? I use the iPhone app on a daily basis. When will you be adding the ability to edit colors on the iPhone? There was a bug with iOS that I fixed over the weekend. Apple published it in their app store yesterday. It should be working for you now. The other option is to update your iOS to 11.2.5 or greater. This app is no sync yo my Google calendar information. How do I get it to work? I am going to work a 2 on, 2 on, 4 off schedule. I don’t see this schedule? Am I looking at the preloaded schedule wrong? If there isn’t one, can I entered one?